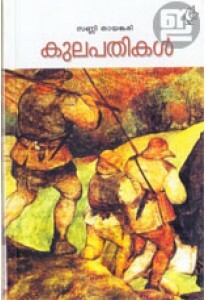 Thozilvartha is the first and the best employment paper in Malayalam, published as a weekly. Reporting almost every employment opportunity in Kerala, Thozilvartha proves to be an alternative for the State's informative cell in service sector. 1. Subscription period is ONE YEAR and your subscription starts when you receive the first issue of the magazine. It may take 1-2 weeks to start delivery of the magazine. Delivery will be by ordinary post. 2. Your subscription will be processed on the same day of placing the order and you will get a confirmation mail from Indulekha when the payment is confirmed. You magazine subscription number generated by Mathrubhumi will be emailed later by Indulekha and the role of Indulekha in this sale ends there. 3. This magazine is printed and published by Mathrubhumi Printing and Publishing Company Limited. Your copy of the magazine will be packed and despatched by Mathrubhumi and NOT by Indulekha.